Nuts and bolts were the inspiration for this jacket but any fabrics can be used to fit your personality.It can be made in a short or long length. 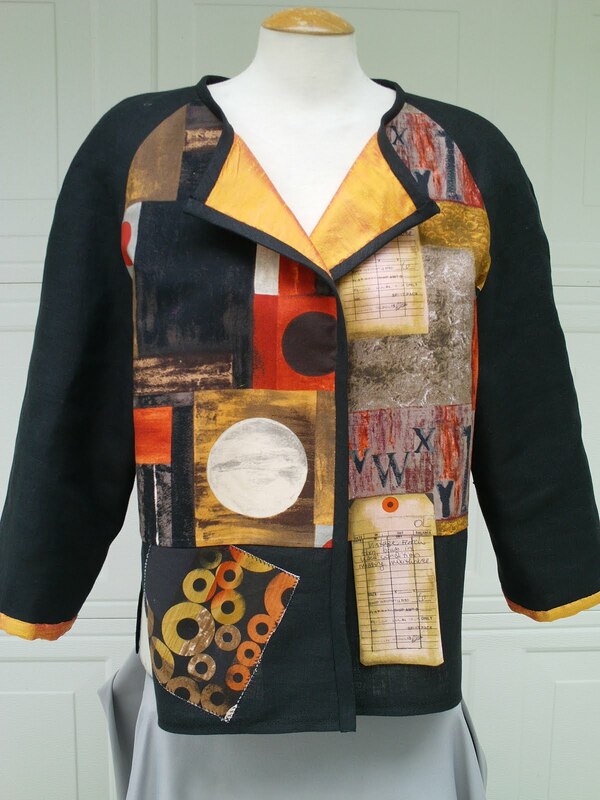 The jacket as pictured here uses linen, silk and cotton but you can use any material. It is easy and quick to sew.